Celebrity couple Jennifer Lopez and Alex Rodriguez have left the building. 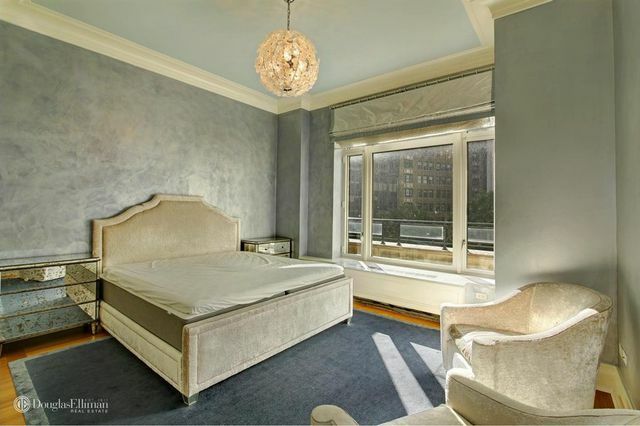 The A-list couple had reportedly been renting a one-bedroom, 1.5-bath apartment on Manhattan’s West Side for the past year, according to the website 6sqft. The empty apartment is now up for grabs, if you’re willing to shell out $11,500 a month for the prestigious address and celeb pedigree. Snagging a spot in the Robert A.M. Stern–designed building is a home run, even if the place is on the small yet pricey side. It’s located steps from Central Park and essentially has the iconic green space for a backyard. The elegant 1,079-square-foot apartment includes a foyer that opens to a light-filled living and dining space with a high ceiling. French doors open to a private terrace, and the chef’s kitchen is equipped with high-end appliances, a breakfast bar, and a washer and dryer. 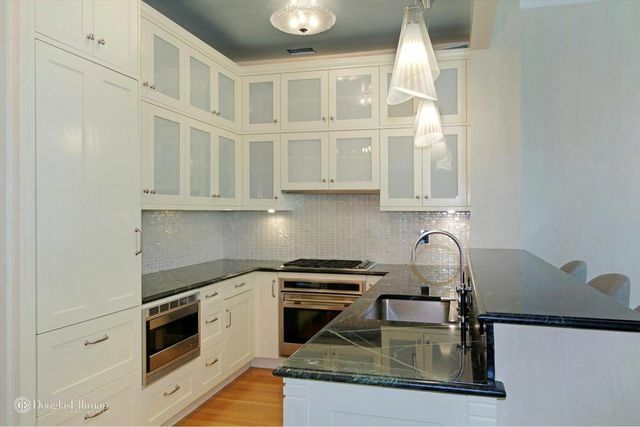 Despite its proximity to the park, there are no park views in this unit. The en suite bedroom suite has west-facing windows and two large closets. 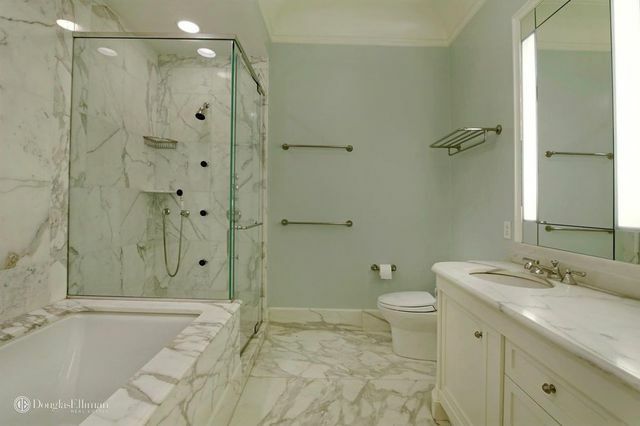 The marble bathroom features a five-fixture shower and soaking tub. Built in 2005, the limestone-clad building offers residents a 75-foot lap pool, fitness center and spa, and full-time door attendants. For their part, the couple most likely will be moving on up, literally, to their condo in the sky at 432 Park. 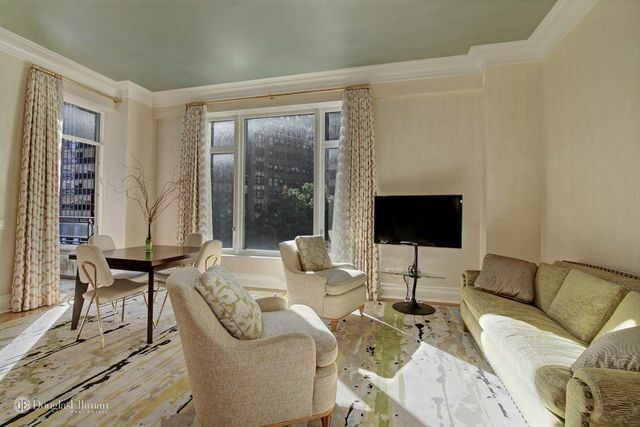 The couple made headlines when they purchased the apartment together, forking over $15 million for the 4,000-square-foot, three-bedroom, 4.5-bath apartment. While that purchase may not have been the greatest deal, their property portfolio is expansive. In addition to the modern high-rise, Lopez owns a penthouse in the Flatiron District that’s she’s been trying to unload for $27 million for the past year. The former slugger and the multitalented actress have been dating since 2017. Tamir Shemesh holds the listing. 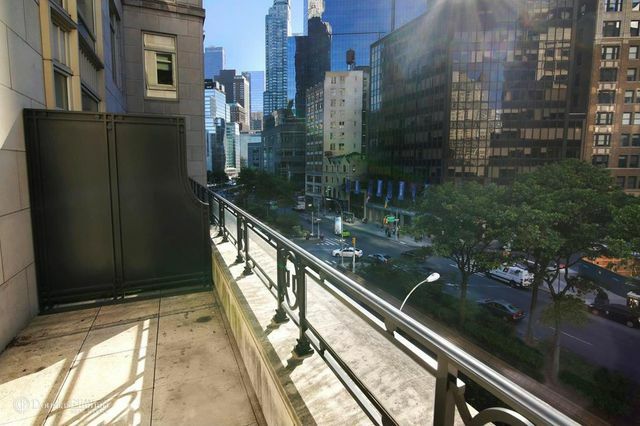 The post Rent Jennifer Lopez and Alex Rodriguez’s NYC Apartment for $11.5K a Month appeared first on Real Estate News & Insights | realtor.com®.